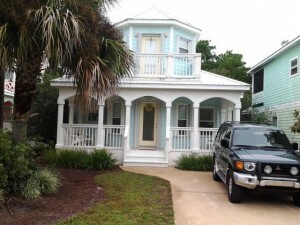 Price reduced on Ventana Dunes cottage home in Blue Mountain Beach, FL! Just west of Grayton Beach and Seaside, the community of Ventana Dunes is in the heart of Blue Mountain Beach and is just steps from the beach. This 30A home has never been rented and features 3 bedrooms, 2 bathrooms, an open floor plan, hurricane shutters, private wooded back yard, plenty of closet space, and 1,616 sq. ft. of heated and cooled space. Contact us today to schedule a private showing of this Blue Mountain Beach home. Contact us at The Beach Group at 850.231.9007 for more information on 30A West real estate.